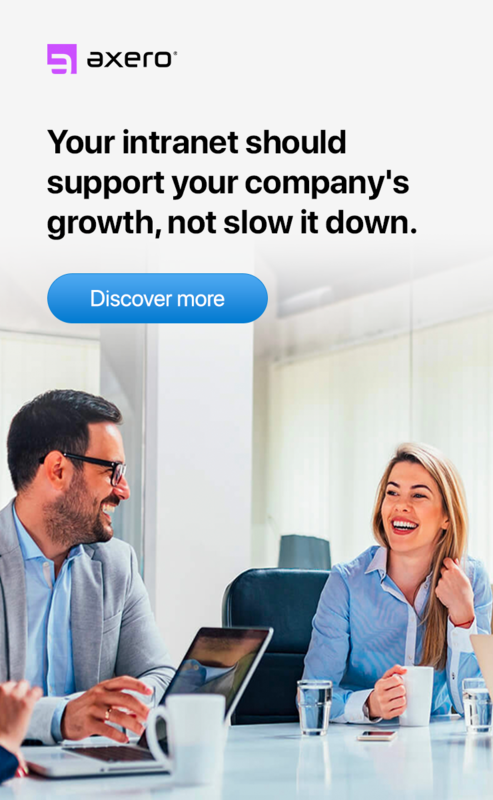 In the last post, How to Use Employee Engagement Secrets to Skyrocket Sales, we unearthed an astonishing fact: engaged employees outsell the disengaged ones by a wide margin. I am being sarcastic, of course. Most sales managers I’ve come across understand the power of employee engagement. Unfortunately, the reverse is also true. Many are feeling the devastating effects of disengagement among their troops. These managers represent virtually every category of products and services on the market. They sell consumer goods, software, pharmaceuticals, electronics, insurance, consulting services, and document management solutions. They sell to individuals, businesses, and government entities, yet their challenges are identical: How do I keep my salespeople at the top of their game? Salespeople are often on the road or work from home, yet their job is to represent the entire company in front of knowledgeable and demanding buyers. John recommends using technology, particularly social intranets, to keep your sales folks connected to the company and each other. I can’t tell you the number of ways this works! From not having to say “let me get back to you” three times in a row, to a timely piece of advice, to a simple “hang in there” from someone who’s been in your shoes before. 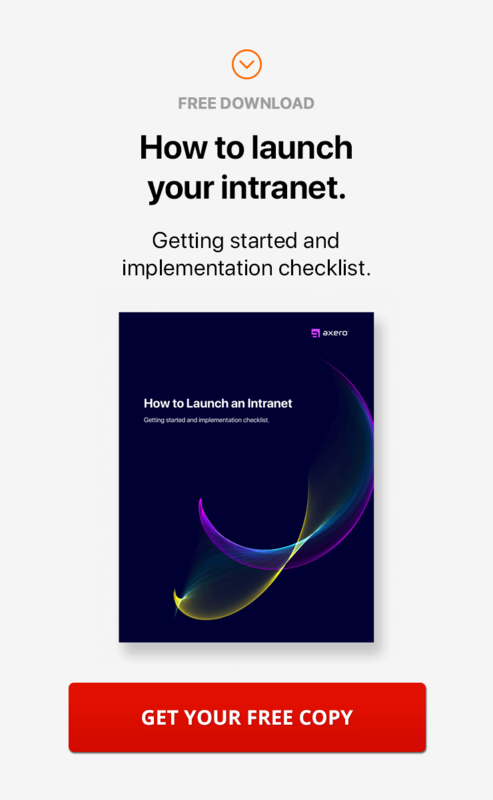 If you’re in the market for a new intranet platform, check out this post on How to Make Your Intranet Work for You. It covers selection, setup, rollout, and ongoing use. If you have an intranet, but it’s slow in getting traction, see How to Get Managers to Use Your New Intranet. Do you think my friend has thought of giving his notice while he could still list this customer as a reference for his next employer? You bet! Did the boss realize that his top producer went from “fully engaged” to “completely disengaged” in a week? I doubt it. If you don’t want to repeat his mistake, make sure your company empowers salespeople to voice their concerns and resolve conflicts of allegiance. Does all go well when it’s time to deliver on the promises your salespeople make to prospects? In most companies, sales is siloed from customer service and tech support. As a result, salespeople can feel responsible for a missed handoff. Their enthusiasm fades quickly when these become a regular occurrence. A quick case in point. To “reduce overhead,” a company merged customer service for two very different products into a single department. The head of the combined operation was overseas and had neither time nor training to delve into the added product line. His new reports didn’t take well to the change. Two of the best and most experienced reps quit within six months. The company was not ready to replace them, and customers went for weeks without an answer to a simple question. Who would you guess received all their angry calls and emails? That’s right, salespeople! Involve salespeople in the decisions concerning the future of their accounts. Encourage them to build relationships with other customer-facing employees. If you have a social intranet, discussion forums work great to transfer knowledge between silos. Make sure your employees use them. Need help? Read this post on How to Get Employees to Start Online Discussions. Most salespeople are paid partially or wholly on commission. Commission pay alone can create a huge income gap between your highest- and lowest-paid employees. On top of that, the best salespeople are usually the best negotiators, so compensation packages may be uneven to start. The gap is there for a reason: to move the top performers to work even harder—and the bottom ones to switch careers. However, it can be too much of a good thing. Too much competition and stress can cause employees to be toxic to each other… and to the customers. People go into sales, not for any guaranteed income, but for the opportunity to make more. As long as everyone views this opportunity as equal and alive, income inequity works; when goals stretch too far out of reach, incentives become meaningless, and motivation flags. First, make sure the pay scheme works for you. Benchmarking yourself against competitors is tricky since every company plays the game differently. Your margins, product mix, positioning, and market share all dictate the expectations you must set for your salespeople. To attract and keep the right people, your compensation plan must follow your unique go-to-market strategy. Second, salespeople learn on the job. Give your new hires the best mentors you can find. Encourage everyone to share help and advice. Keep the dream alive! Similar to pay inequity, rejection is great for weeding out the unfit. But it gets to the best of us, too. I once thought good salespeople had more “natural” confidence than the rest of us mortals. Later, I realized it wasn’t that they didn’t feel rejected. Rather, they used special tricks to help themselves deal with it. One of my friend’s favorite mantras is: “Some will. Some won’t. So what? Next!” Another one I’ve heard is: “Go for the NO,” meaning, don’t aim to convert every lead. Allow the weak and unqualified buyers to reveal themselves. Give your salespeople all the moral support and recognition they need. Give them tools to encourage and appreciate each other. Balance out the negative with the positive. Check out this post on Staying Positive for a few of my favorites. CSO Insights’ 2016 Sales Enablement Optimization Study puts the average annual sales force turnover at 16.3 percent. One of every six salespeople will quit or get fired during the year. Even for those who will keep their jobs, it’s a bumpy ride. Their livelihood is their ability to win their prospects’ trust and close deals. You need a great deal of confidence to do both. But how confident will you be in front of a prospect when your job is hanging by a thread? It’s a catch-22. Most companies try to solve it by taking longer to train their new salespeople; sixty-one percent of the companies in the CSO Insights’ study reported ramp-up periods of seven months or longer. The solution might work, but it makes sales turnover even more expensive. The best job security you can give your salespeople is high-quality leads and a sales process that’s been tested and re-tested on every type of customer you have. A salesperson left to his or her devices is all but doomed to failure. I believe that’s the main reason behind the high turnover in sales—and the key to bringing it down. If you are curious about the process Axero has in place now, see What is the Value of Processes and Procedures in the Workplace? Salespeople are notoriously available and working around the clock—in part because they love what they do, and in part because they hate to miss a sale. Don’t burn out your best people! Encourage outside interests and hobbies. Many salespeople successfully combine work with social activities, like golfing, dancing, leading hiking groups, and volunteering. Reward them with their favorite things to do and teach them to unplug now and then. For more ideas, check out Chapter 24, Give Them a Break, in Who the Hell Wants to Work for You?. There is no such thing as engagement in the face of severe persistent conflicts, like the ones we’ve talked about in this post. Now that you know what they are, check in with your salespeople frequently. Understand what types of conflicts pose the biggest threat and brainstorm solutions. 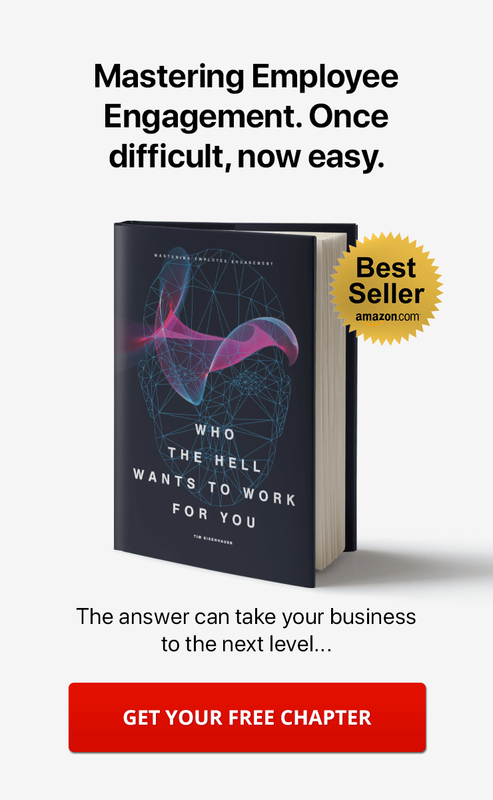 If you like to keep your work conflict-free, you might like my book, because it deals with the causes of employer-employee conflicts.